It took my family a couple of years to warm up to kale salad. 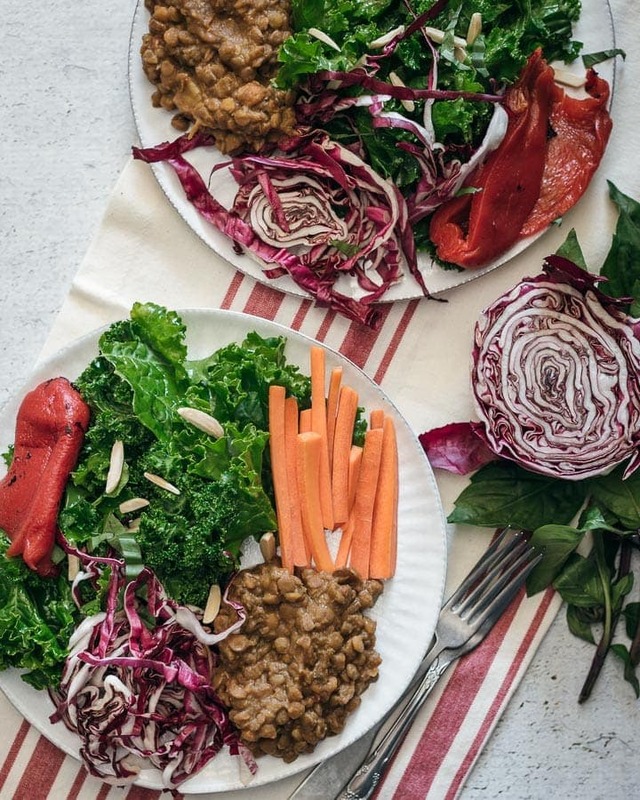 They would eat the crispy kale chips and in soups but not in salads. Of course every time I want them to try something new, well I have a secret, I just add crispy bacon. It is funny how they fight over that crumbled bacon! Although, this one doesn’t have bacon. I wanted to keep this salad 100% vegetarian. 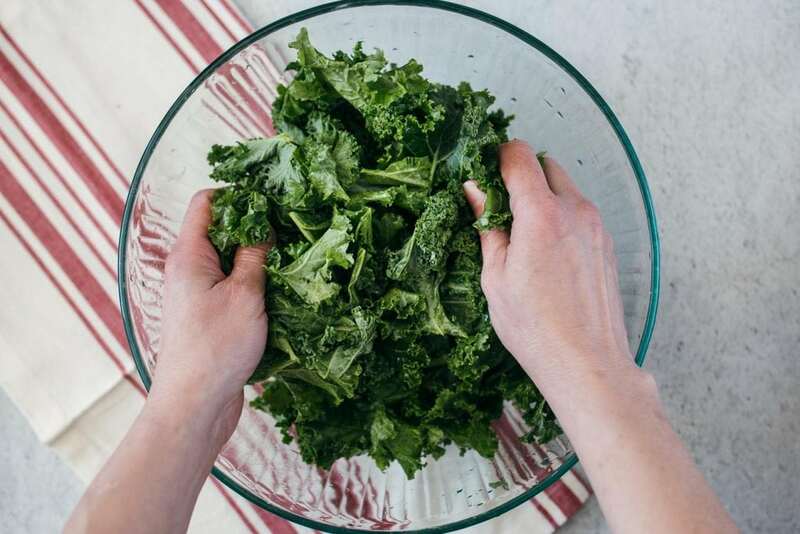 Here is another trick that helps, which is massage, massage the kale leaves with extra virgin olive oil. Let it sit for a couple minutes, season with fresh lemon juice, salt and add something sweet such as honey or squeeze the juice of an orange or mandarine. 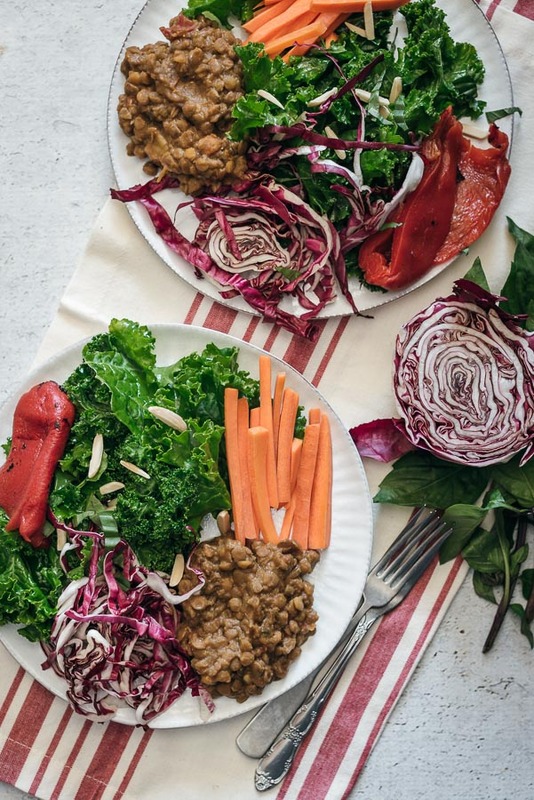 Enjoy this salad with leftover lentils, sliced radicchio, roasted red pepper and carrot sticks. Send me a massage if you also struggle with people who don’t like salads like this one. Salud!